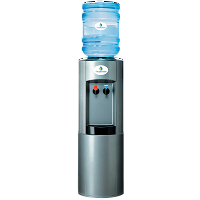 We offer a full range of bottle or plumbed in mains fed water coolers in a range of finishes and features to suit everyone. 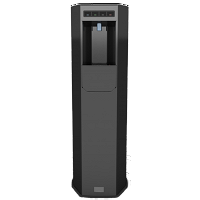 Our coolers are available in desktop and floorstanding models. 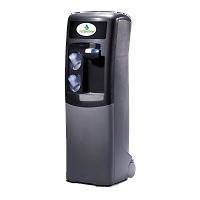 All our supplied water coolers are sanitised and serviced every 3 months in accordance with industry guidelines. 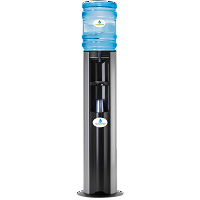 Our bottled water is naturally sourced from springs in the UK and bottled under the highest hygiene and quality standards using no nasty chemicals or chlorine to ensure you enjoy a pure natural tasting water. 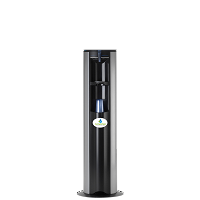 Sleek and silver bottled water cooler ideal for offices small and large. 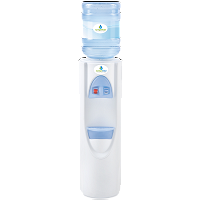 In cool white this bottled water cooler provides refreshing even cooler water. 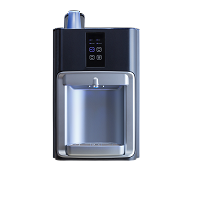 The Storm bottled cooler incorporates some award winning innovations. 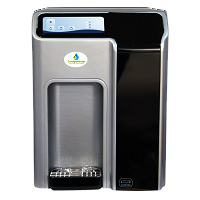 This bottled water cooler has patented WaterTrail technology for extra hygiene. New to the mains fed range featuring touch button controls. 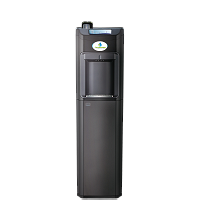 One of our most popular plumbed in water coolers. It offers high level technology combined with quality. 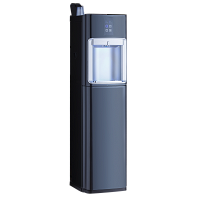 This new model with EBAC technology is the stylish way to stay hydrated. Our popular F-Max machine is also available in a mains fed version. 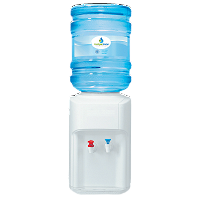 This small mains fed water cooler is perfect for the smaller sized office where space is limited. 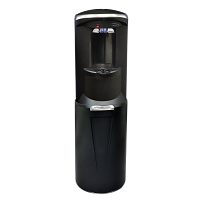 Now our mains fed touch controlled water cooler is available in a compact desktop size. 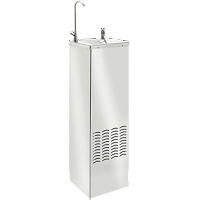 Mains fed drinking water fountain with push button operation. 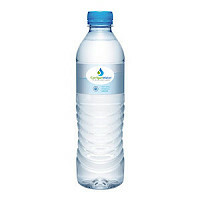 Our new 500ml water bottle pack helps you rehydrate whilst enjoying the great taste of spring Water wherever you are.